Hotel Orange City is set right in the heart of the town with every imaginable need within the reach. The feel of warm hospitality pervades the whole atmosphere. The personalized service provided by the trained hotel staff will be proof enough of care and concern. The ideal destination for a pleasant stay. Hotel Orange City Nagpur does not have a star-rating. 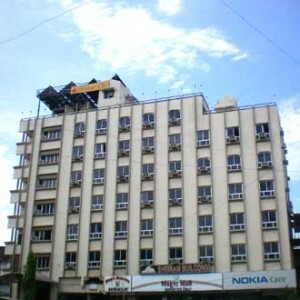 Hotel Orange City Nagpur is located 7 kms. from Sonegaon Airport, 2 km. from Nagpur Railway Station, and 3 kms. from Nagpur Bus Stand. All the accommodation provided by Travelmasti are in the most comfortable hotels/resorts/camps, handpicked especially for you, offering the best stay to make your business or leisure trip, simply ‘worth it’. Hotel Orange City Nagpur has total of 50 rooms, all rooms are well designed. Hotel Orange City Nagpur has 1 restaurant serving Indian, Chinese, and Continental cuisines. Express laundry / dry cleaning. If you have not decided yet or wants to customize tour itinerary or hotels listed above in "Hotel Orange City Budget Hotel Package in Nagpur Rs.1000/-", then we can change the travel itinerary and make a personalized, tailor-made holiday package, especially for you. We can modify this travel package as per your itinerary, budget, duration and the tourist places you would like to visit, including transportation and airfare should be included or not. Please fill the form below to contact us.